Copyright (c) Jane Austen’s World. 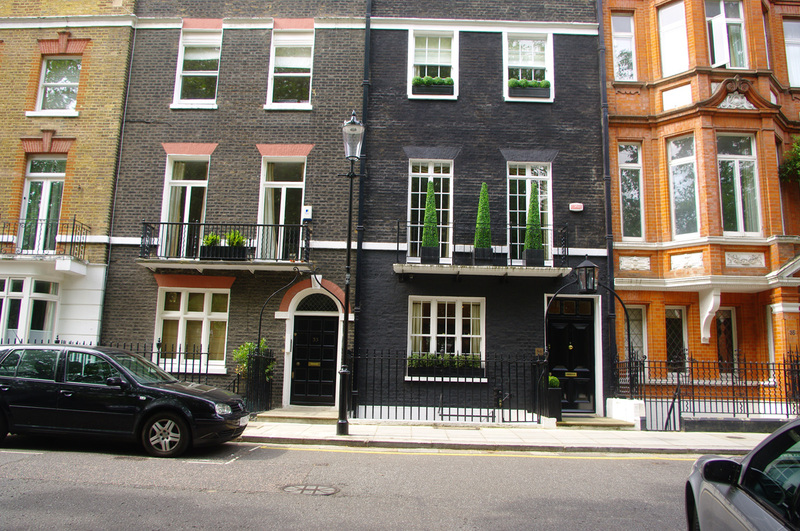 Inquiring reader: Tony Grant sent me images of Hans Place by way of a personal tour. I am sure he won’t mind my sharing his photos of one of the areas that Jane Austen stayed in when she visited her brother Henry in London. In addition, I have elaborated on other places where Jane Austen lodged when she spent time in London. 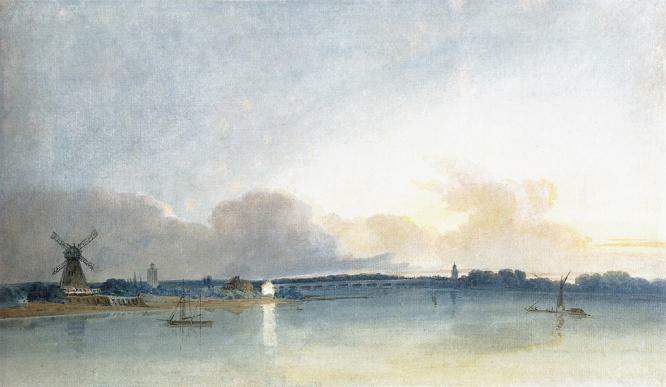 MISS JANE AUSTEN’S acquaintance with London began at an early date, as she frequently passed a few days there when journeying between Hampshire and Kent. We have mentioned her sleeping at an inn in Cork Street in 1796. 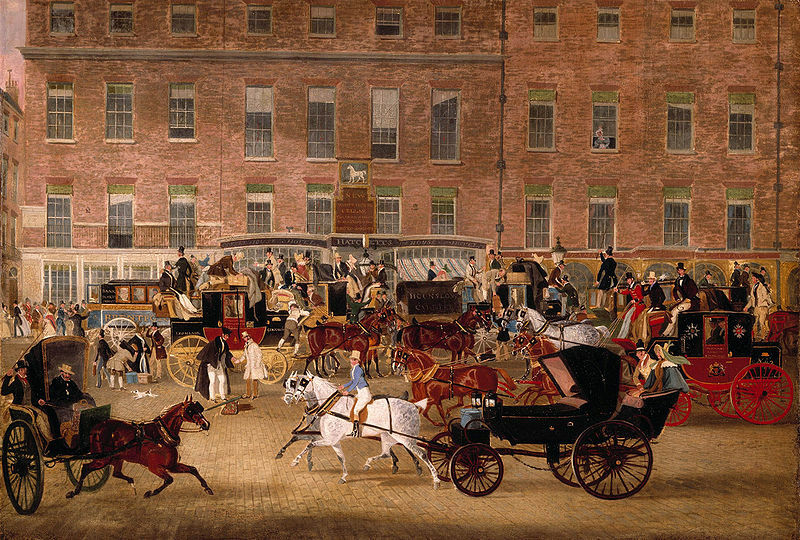 Most of the coaches from the south and west of England set down their passengers, it seems, at the “White Horse Cellar” in Piccadilly, which stood near to the entrance of what is now the Burlington Arcade. Jane and her brothers, therefore, probably alighted here and they would find Cork Street, immediately behind the “White Horse Cellar,” a convenient place for their lodging. Jane visited Town on numerous occasions and stayed with her favorite brother, Henry, and his wife Eliza. Henry not only actively supported his sister’s writing career, but served as her agent, negotiating on her behalf with publishers and printers. When a book required editing and proofing, Jane would visit Henry to accomplish these ordinary, rather time-consuming tasks, Kathryn Sutherland’s opinions notwithstanding. This post details her visits through Henry’s many moves as he experiences successes and tribulations in his professional and married life. In his varied career Henry served as a soldier in the Oxfordshire militia (1793-1801), a London banker (1801?-1816), and as a curate at Chawton from 1816. 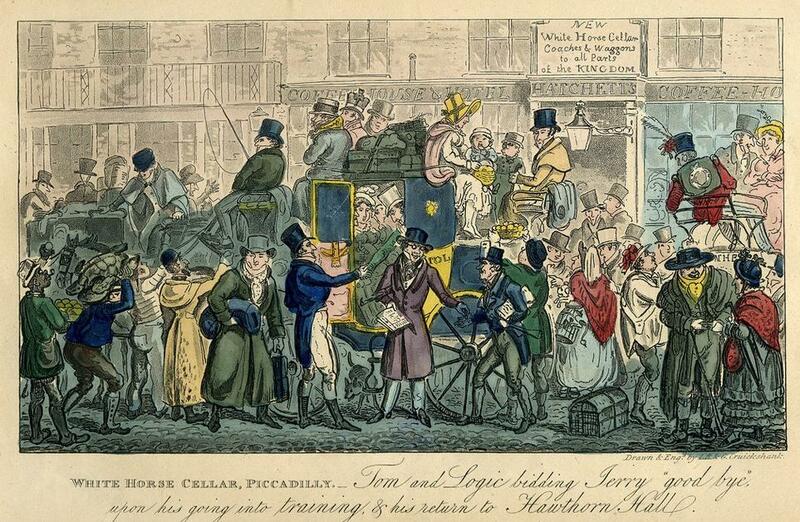 When Jane Austen visited her brother Henry in 1811, he lived in Sloane Street (today behind Harrods in Knightsbridge). 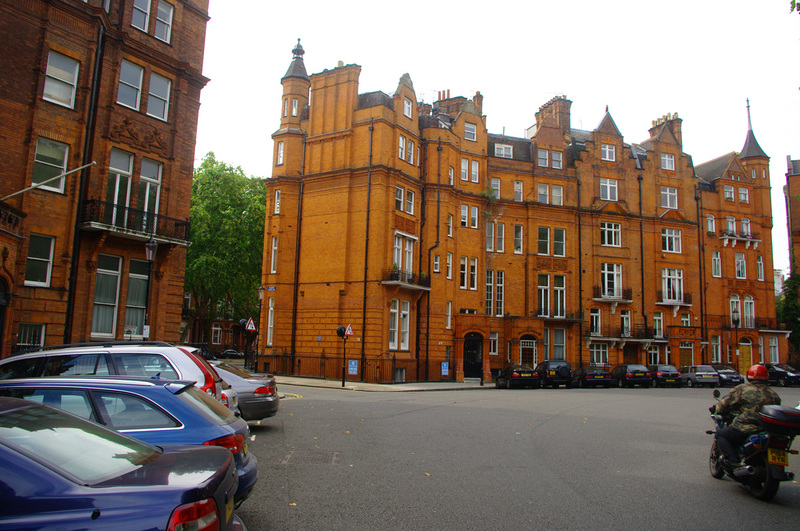 At the time, the street was a wide thoroughfare that connected Knightsbridge with the west part of Pimlico and the east end of Chelsea. 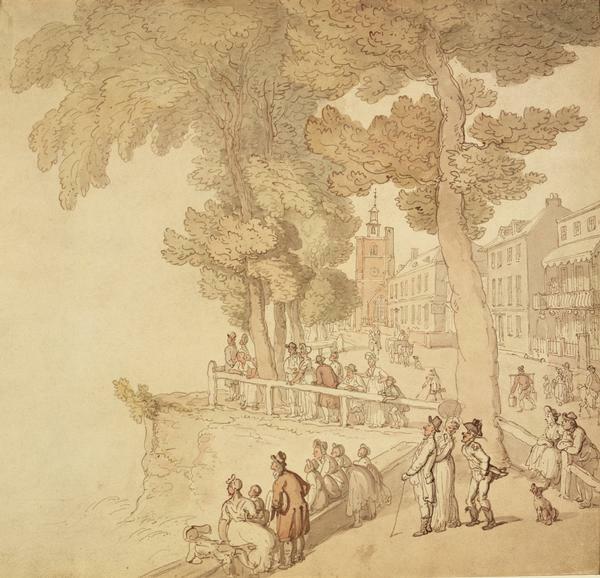 The area was still quite rural, for there was no development at the east side of Sloane Street before 1790. In the late 18th century, the approach to London from this side was still regarded as a dangerous, for the area was rural and dimly lit. 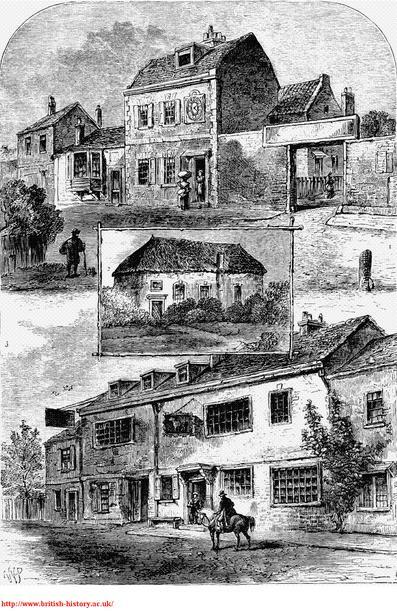 Chelsea, in fact, had just recently begun to be engulfed by a burgeoning London, but during Jane Austen’s day, the area was still quite bucolic and rural, as these images attest. In 1796, the Old Dairy was erected, for cows still grazed nearby. 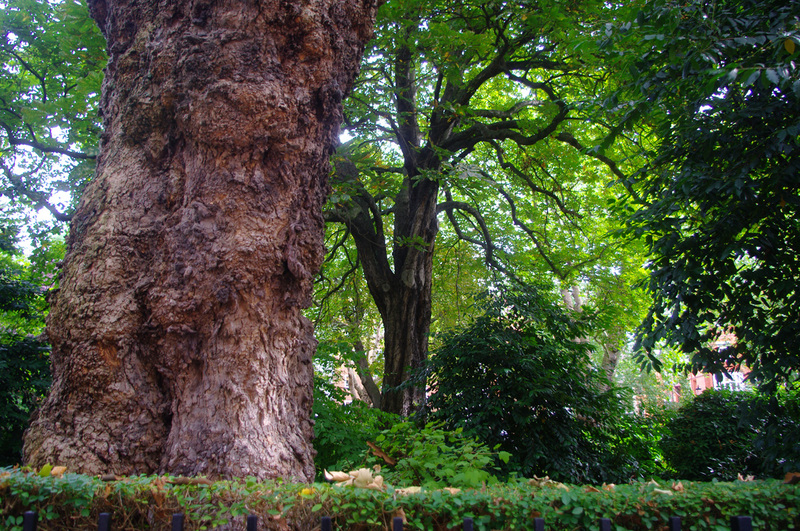 The community was filled with gardens, in particular the Physic Garden founded in 1673 by the Worshipful Company of Apothecaries. Throughout these spacious grounds, apprentices learned to identify plants. Ranelagh Gardens opened to the public in 1742 as a premier pleasure garden, popular with the wealthy and anyone who could afford a ticket. 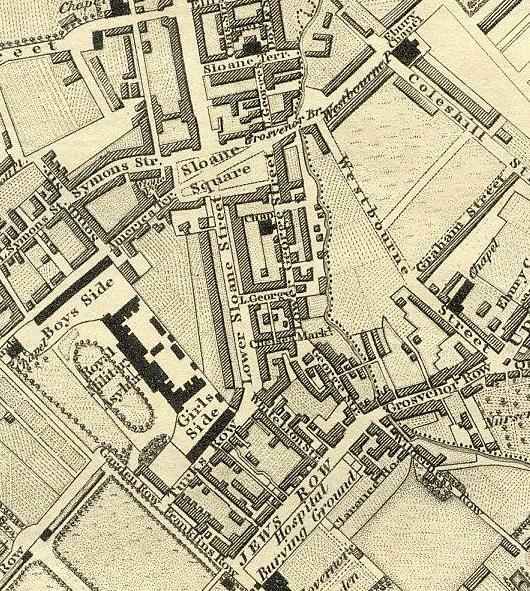 King’s Road, so named in the day of King Charles IIs, was actually a private road that dated back to 1703. 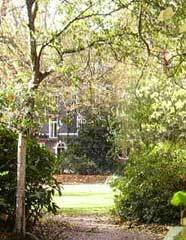 It connected Westminster to Fulham Palace, where he took a boat to Hampton Court. King Charles also used the road to visit his mistress Nell Gwyn. 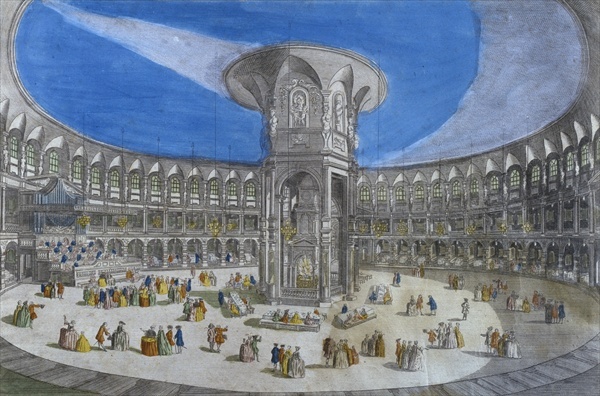 At this time, the royal palace was at Hampton Court and Chelsea was known as the Hyde Park on Thames. In 1813, Henry, who was four years older than Jane, lost his wife after a painful and debilitating illness. In contrast, his Uncle Leigh Perrot and brother Edward helped to secure his appointment as Receiver-General for Oxfordshire, a most definite honor. 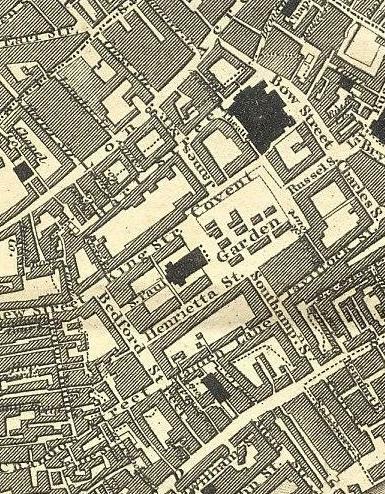 Soon after Eliza’s death, Henry moved to rooms over Tilson’s bank on Henrietta Street in Covent Garden, a location more centrally located in London. 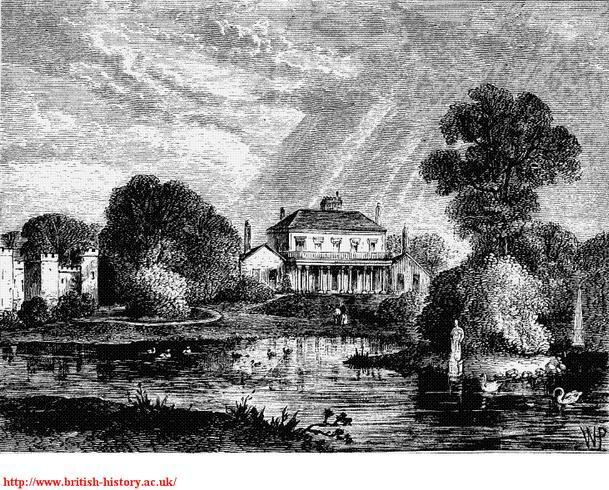 Both Jane and Fanny Knight, their niece, visited him there in the spring of 1814, when Mansfield Park was with the publisher. “I hope,” she writes to her sister, “that I shall find some poplin at Layton and Shear’s that will tempt me to buy it. If I do it shall be sent to Chawton, as half will be for you; for I depend upon your being so kind as to accept it . . . It will be a great pleasure to me. Don’t say a word. I only wish you could choose it too. I shall send twenty yards.” Layton and Shear’s shop, we find, was at 11, Henrietta Street, Covent Garden. 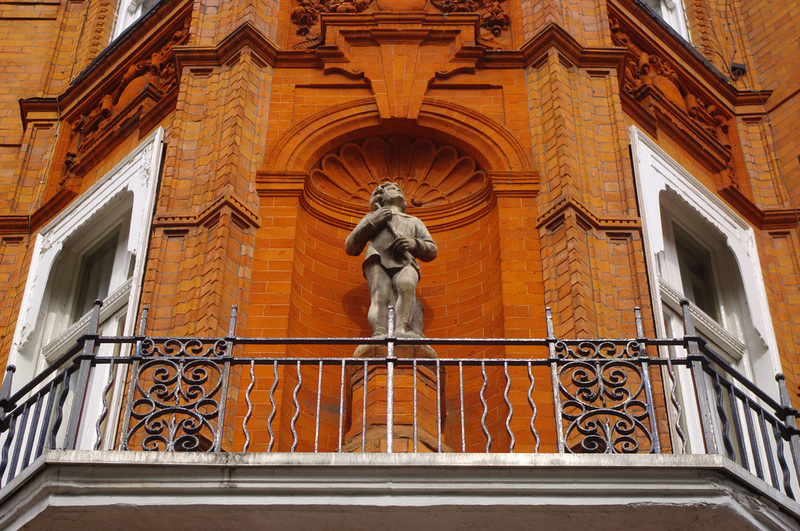 In 1814, Henry moved from his rooms above his bank to a house he purchased in Hans Place in Knightsbridge. 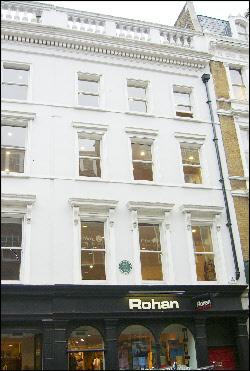 The area was situated near his old quarters on Sloane Street, where he and his wife had spent such a pleasurable time together. 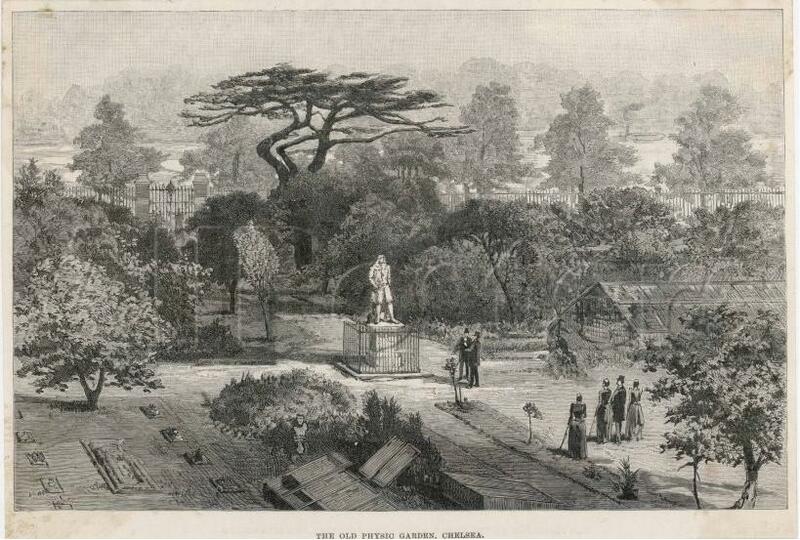 Today, the area, developed by Henry Holland, looks much different than when Jane and Henry knew it (see the image below), but the gardens are not much changed. #23 Hans Place is on the corner. The location today. 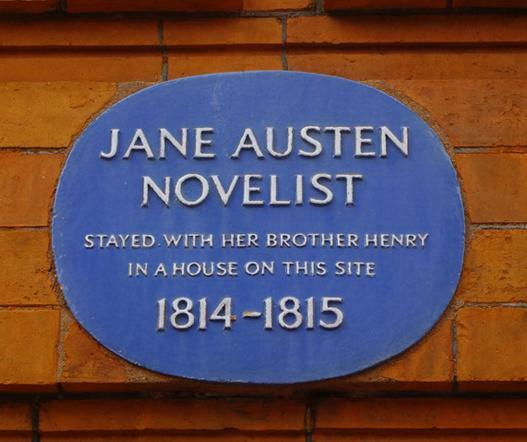 Jane visited Henry in Hans place twice, once in 1814, and for a more extended period from October to December in 1815, when she was preparing Emma for publication. During this visit, Henry became seriously ill and Jane nursed him back to health. She also famously visited the Prince Regent’s library at Carlton House during Henry’s recuperation. Since Henry lived in #23, Hans Place has been redeveloped. Only numbers 15, 33 and 34 still survive as they once were, but the garden that Jane liked so much remains largely intact in its arrangement. The original railings, however, no longer survive, having been molten down for their iron in World War II. Only months after Henry recovered from his illness, his bank crashed, bankrupting him and placing a number of his Austen siblings in financial distress. Henry soon became a curate at Chawton. After this period, no more visits by Jane to London are recorded. 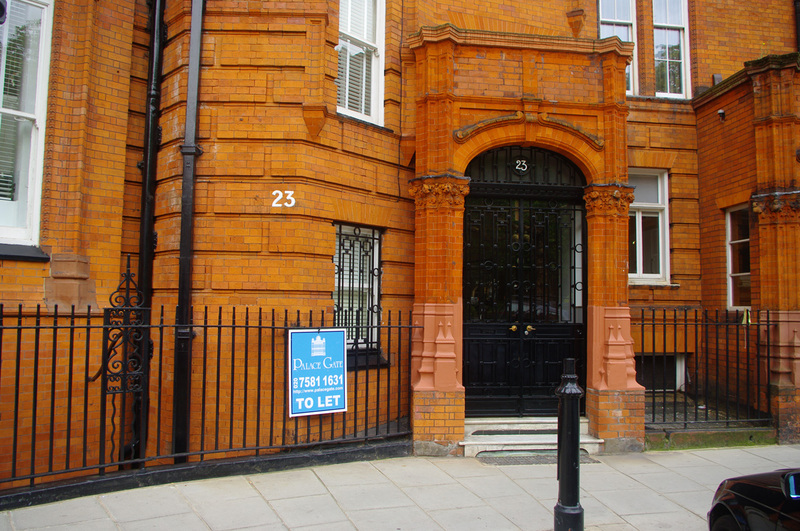 Today, two of Henry’s residences, the one on Henrietta Street and #23 Hans Place, are still easy for visitors to tour during a short London excursion.